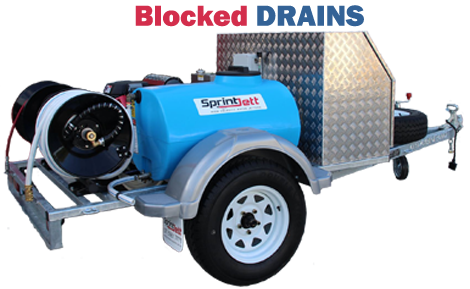 The most efficient way to clear a blocked drain is using a Jetter. This high-pressure machine uses a 3000-5000 psi pump to deliver a water blast from rotating nozzles. These Jetter machines have long hoses that can be fed in through a vent. The most efficient way to clear a blocked drain is using a Water Jetter. It is on a trailer with long hoses for easy access to any site. It has a 210 ltr water tank and at full power it delivers 4300psi. It is has a camera on board for allowing a qualified Plumber drainer to access the problem promptly and efficiently and cost effectively. Blocked Drains Gold Coast specialist Matt uses CCTV equipment to locate and diagnose broken, cracked or squashed drainage pipes. This avoids the necessity to dig multiple holes when looking for the cause of the blocked drain. Clearly drains rarely choose a convenient place to be blocked. Leaking and burst pipes are sometimes hard to detect as they can occur in hidden pipework, under the house or in wall cavities. You may suspect a burst or leaking pipe if you are receiving higher than normal water bills or if your water pressure seems lighter than normal. Water staining on ceilings is another give away. An easy way to ascertain whether you are in fact dealing with leaking pipes is to turn off all your taps and to watch your water meter - if it still moves it is time to call the plumber. Is your water meter spinning when all the taps are off? Has your water account suddenly gone through the roof? Can you hear a hissing sound when everything is quiet? Experienced plumbers use leak detection equipment to quickly locate a leak. The old alternative was to guess where the problem was and start digging. The sophisticated equipment allows the plumber to listen for the leak and dig once.